Hello everyone! I hope you all had a great weekend! Mine was good, save for living in the future for an entire week. For some strange reason, I thought this was the first weekend in October and it wasn’t until I showed up to an empty soccer field ready to play in a tournament that I realized it was the wrong date…oh boy! I had planned on sharing some halloween ideas with you starting in October and as I thought we were already in October, this is what I worked on last week. But before we go any further, there is something you must know about me and Halloween. The fine print, shall we say. 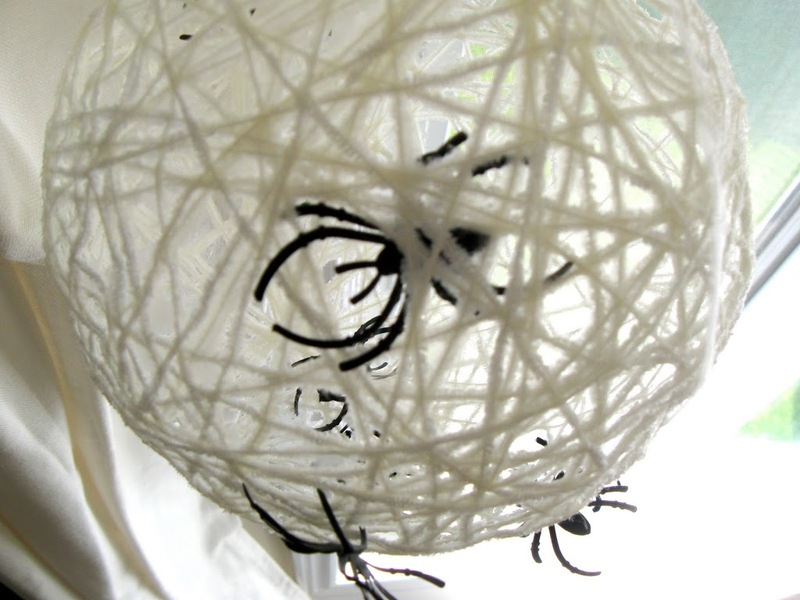 Enter an easy peasy spider’s nest made out of a yarn orbe. 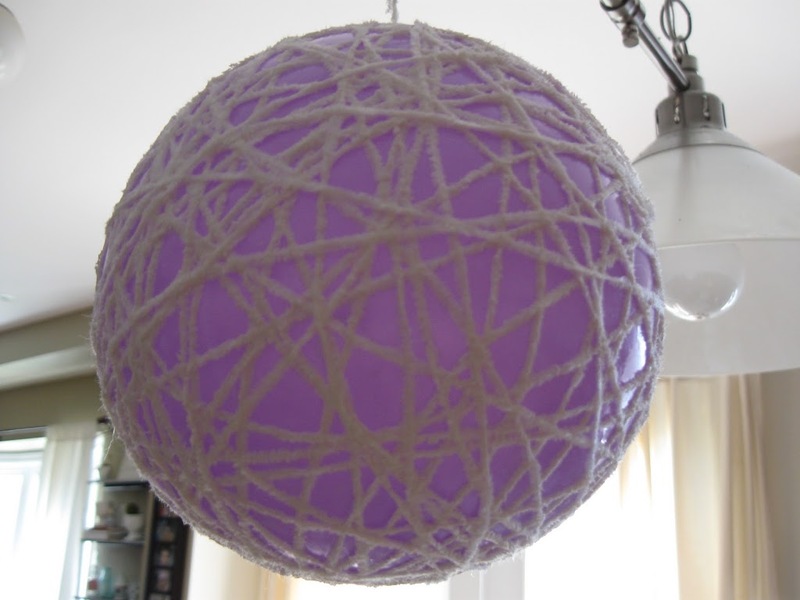 (Dip yarn into watered down glue and wrap around balloon. These guys are fresh out of the nest crawling up and down while you sleep at night….ugh! Just the thought of it gives me goosebumps…. I have a couple of other Halloween related projects to share, but I think I’ll wait for the ‘real’ October to arrive to show you! Have a great week, see ya in a day or two! Oh how fun – they look fabulous! Wow! Just how pretty these are! Awesome project to work on with my kids. 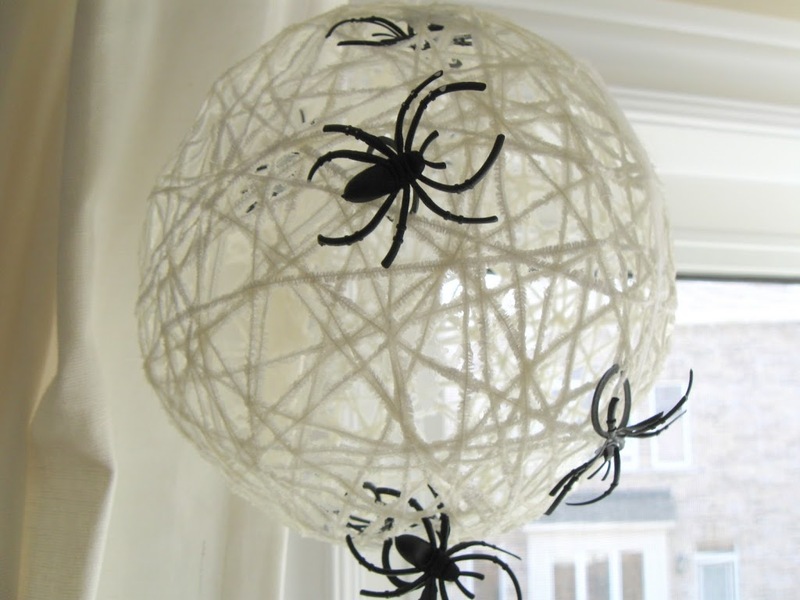 We’ll also make smaller ones as Christmas tree decorations, using white and silver yarn. Thanks you so much for this absolutely fab idea! Great project, although as the spiders have crawling into my house the last couple of weeks, I would probably have to put this outside. Happy almost October anyway! 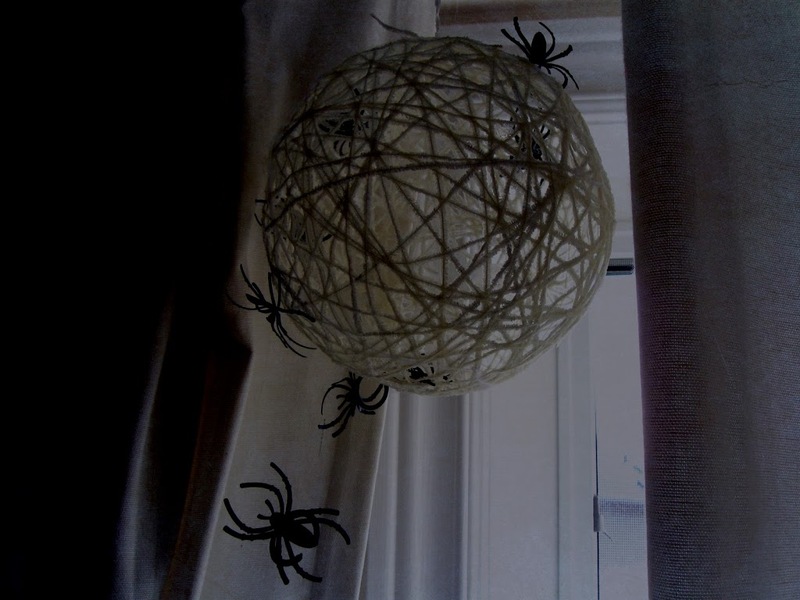 And I have been wanting to make a few of those yarn orbs… in fact have had the balloons since last winter… oyyy! I was thinking tree decorations, but this was a good reminder for me to get on it. Oh, Lucy, please help me. I tried this years ago and my yarn never hardened, it was more like angel hair pasta al-dente. Could you give me the water to glue ratio, maybe that’s my problem? I’m willing to try again! But this is super cute. Lol! This is awesome! I’d love to have that in my house – perhaps I’ll get around to trying that! what type of yarn and what glue did you use to make these please ?